The impression in BCCI circle is that COA will recommend removal of three principal office-bearers - acting president CK Khanna, acting secretary Amitabh Chaudhary and treasurer Aniruddh Chaudhry. 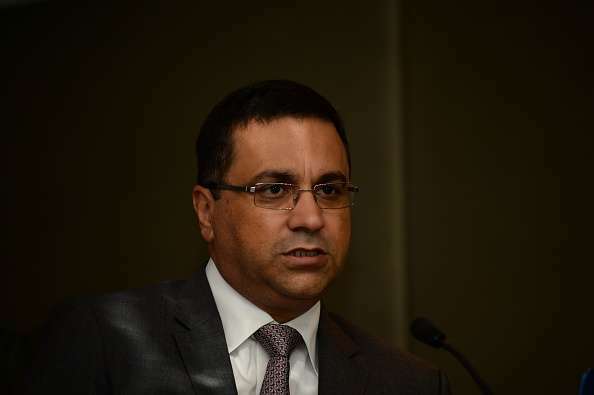 The Committee of Administrators (COA) has apparently sought legal opinion on its decision to award BCCI CEO Rahul Johri an "out of turn" increment after the issue was raised by treasurer Aniruddh Chaudhry. "The COA has asked for amicus curiae's (Gopal Subramanium) opinion with regards to Johri's salary. A legal opinion has been sought but at this moment, we won't be able to divulge the details," a BCCI official told reporters on the sidelines of COA meeting. In his letter to COA, Chaudhry questioned how Johri was given an increment on April 2017 when it was due in June. "The CEO ought not to have received any increment since the prerequisites for the increment to be given were not even met." However, the CEO was given an increment in violation of the conditions agreed upon in the contract. The increment was approved by the Committee of Administrators and the approval is not in accordance with the contract, Chaudhry had written in his letter to COA chief Vinod Rai. A section in BCCI believes that the matter should have been discussed with the BCCI's legal team rather than seek amicus curiae's opinion. "The BCCI has a big legal cell. No one knows if COA has sought their opinion or not," a senior BCCI official said. It is also learnt that COA will be thrashing out the annual contracts of the Indian players very soon. "It has been on the anvil and it will be decided very soon," said the official. It was also learnt that Rahul Dravid's proposal of equal distribution of cash reward among all support staff was also discussed. While the COA is waiting for the next date from the Supreme Court, it is learnt that Vinod Rai and Co will soon start working on their seventh Status Report.